It’s possible that your dad associates rye with his own father, but the spicy brown spirit is on the rise again. One of the newest and most interesting artisanal spirit brands to hit the market is also the most appropriate for the occasion. 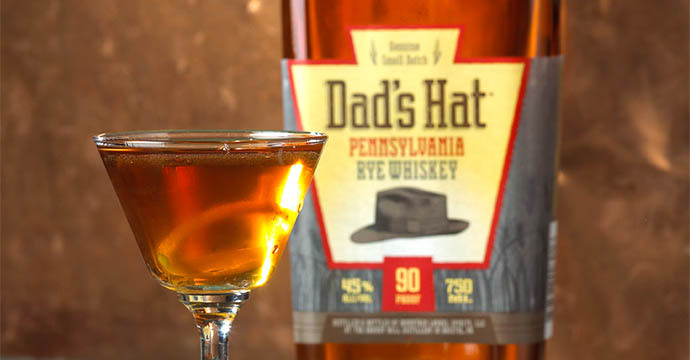 Dad’s Hat rye is made in Pennsylvania in small batches, the old-fashioned way. The end result is spicy taste and very smooth finish, now available in more than eight states.